Zinedine Zidane has reportedly begun his new era with Real Madrid by replacing the team's number one goalkeeper, Courtois with Navas. 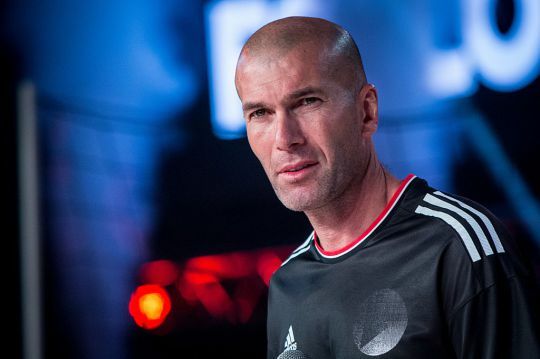 It has been reported that Zinedine Zidane has restored old favourites for his first game since being re-appointed coach of Real Madrid as Thibaut Courtois was dropped for Keylor Navas while Isco and Marcelo both returned. According to the Agence France Presse, AFP, Gareth Bale was also named in the starting line-up at the Santiago Bernabeu on Saturday as Madrid launched their new era under Zidane at home to Celta Vigo in La Liga. Courtois was the biggest surprise, given he was bought by Madrid for around 40 million euros ($45 million) last summer and had established himself ahead of Navas under Santiago Solari. But Navas was a key figure under Zidane, who had tried to dissuade the club from signing another goalkeeper while he was in charge. Isco’s recall was another show of intent given the Spaniard had not started a single league game under Solari, while Marcelo came back too, having lost his place at left-back to promising 22-year-old Sergio Reguilon. Bale’s selection suggests Zidane is at least prepared to offer the Welshman a chance to stake his claim. Zidane lost faith in Bale last season, with the pair’s relationship growing increasingly strained before Zidane announced his departure. Madrid lie 12 points adrift of leaders Barcelona, who play away at Real Betis on Sunday.